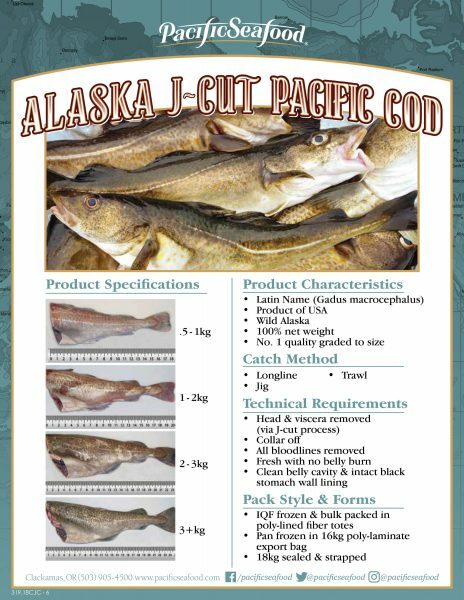 Pacific cod is one of the most popular North Pacific bottomfish, and a versatile fish suitable for a wide variety of preparation methods. 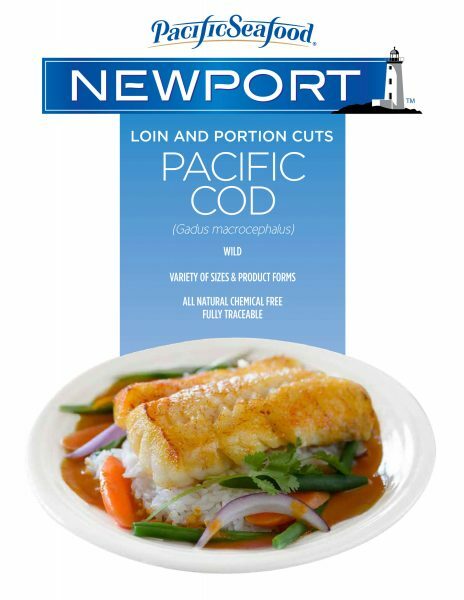 Sustainably harvested for continued abundance, Pacific cod can star on its own in the center of the plate, but is also excellent as an ingredient in salads, appetizers, and chowders. It adapts easily to most cooking methods, and can be roasted, poached, steamed, sautéed, or deep-fried as fish and chips. 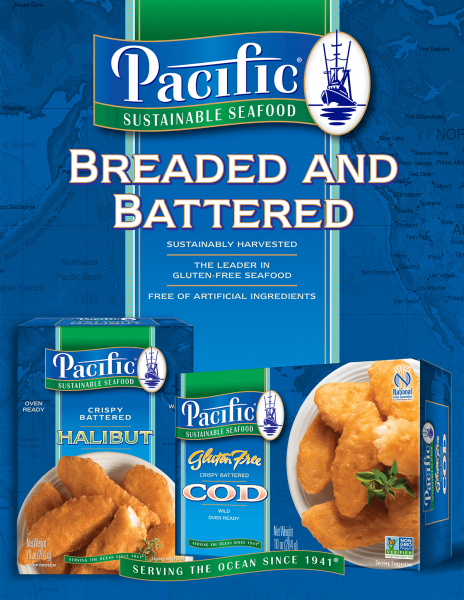 Include Pacific cod from Pacific Seafood on your next menu.